Don’t just get married on the water, get married ON the water. Dance the night away with anywhere from 50-600 of your closest friends with unparalleled views of downtown Tampa. 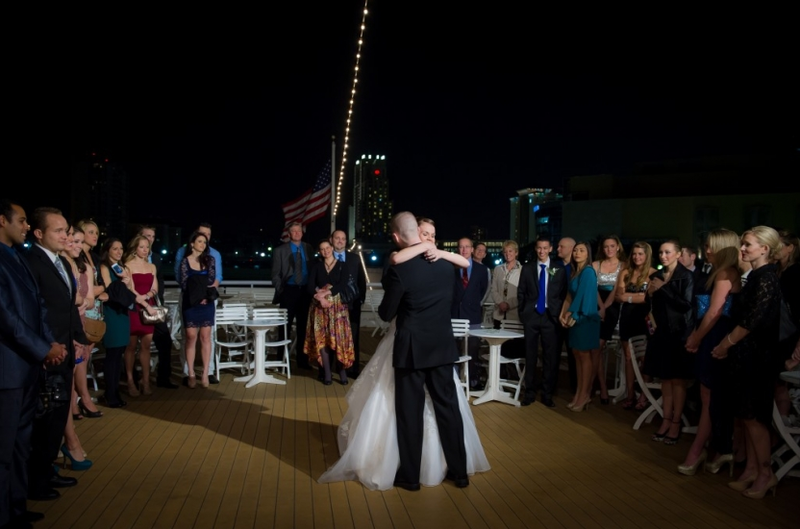 Yacht Starship has three vessels to choose from for your special day. With several nearby hotels, your guests can take a quick 8-minute walk to the Yacht Starship dock from the Marriott Tampa Waterside. Once home to the Exchange National Bank, The Vault is now a unique venue in downtown Tampa with access to an honest-to-goodness walk-in money vault. Built in 1923, The Vault’s floor-to-ceiling windows are another great spot to take in the beautiful skyline. The Hilton Tampa Downtown is just four blocks from The Vault for your convenience. 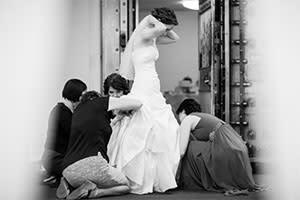 Break a leg and get hitched on the stage. 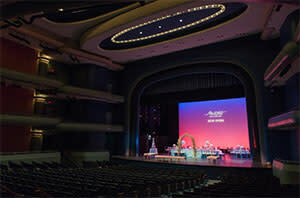 The Straz Center offers multiple venues for your wedding, including the Ferguson Stage. Guests can stroll down Tampa’s newly completed Riverwalk from the Sheraton Tampa Riverwalk Hotel to the Straz Center. 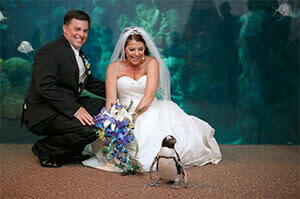 Not only can you say “I do” in front of the Florida Aquarium’s 500,000 gallon coral reef tank, but you can have penguins at your wedding. Not stuffed penguins, but real, live penguins to delight you and your guests. Use Tampa’s streetcar to get from the Embassy Suites Tampa Downtown to the aquarium.